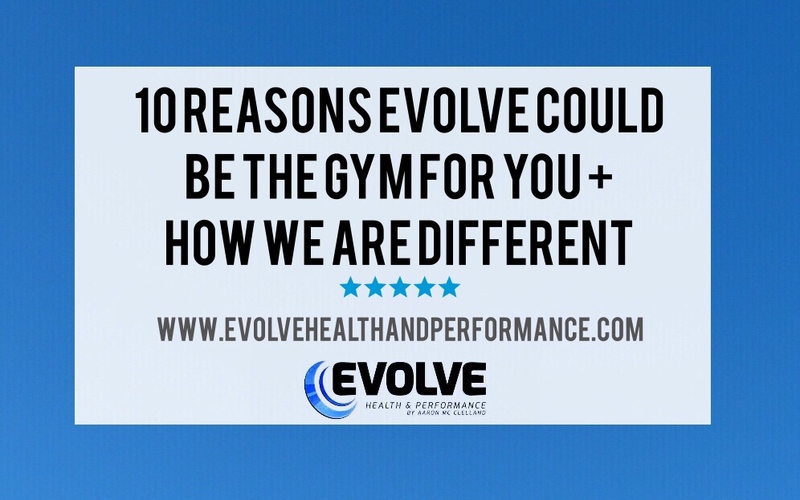 We often get asked why Evolve is different to other gyms. Our intention is not to blow our own trumpet here or to rubbish other gyms, that’s not how we roll, but we do want to offer a little insight in to what we do. You can decide for yourself if it sounds “different” to the norm or what you’re used to. First of all, Evolve was born because we genuinely believed that people were getting short-changed by their gym experience. We didn’t enjoy going to a regular high-street gym ourselves, so why would anyone else want to? Our goal was to create a gym that brought fitness to life. A place where people came to get the results that they wanted, whilst actually enjoying their workouts. Oversized rooms of useless equipment were replaced by space. Young and unmotivated staff were replaced with experienced coaching teams. The pay and stay away approach was replaced by a community driven model. Rules and regulations were replaced by customer-centric and service-driven ideals. Muscle men in stringed vests and scantily women posing in the mirrors were replaced by good eggs, just regular folk looking to get in better shape. Mirrors were replaced by equipment. Our members were enjoying rather than enduring their three weekly gym visits. Which means that they were coming more consistently. Which means they were getting better results. We realised that we had actually created a home from home for our members and developed a culture. tWe are really proud of what we have created.We aren’t saying all gyms are rubbish, there are a lot of good ones out there, but in the main, they’re not particularly inspiring places to be. No matter if you want to lose weight, get fit, tone up, or run faster, we all need a foundation of strength. We all want to look good, but it is as important that we keep our joints healthy and move well also. People with general fitness goals should train athletically, focussing on movements rather than muscles. Our programmes consist of free weights for the most part, with machines used sparingly. They also include elements of strength, endurance, mobility, flexibility and cardiovascular training. We use tried and tested programmes and approaches that get results, not what’s currently en vogue. Programmes should be personalised and progressive, but the gym needs to be a fun place to come. Our members are a mix of shapes, sizes and abilities, and we meet everyone where they’re at. When you train at Evolve, you’ll be surrounded by like-minded people, so you won’t have to contend with oversized egos who think they own the place. We don’t bark orders at you. Instead we’ll guide you through your programme so you know why you’re doing what you’re doing. We don’t use cookie cutter training. We give each member a thorough evaluation and create a unique plan to suit you. To fully understand what’s special about Evolve, just listen to what some of our Male and FEMALE members have to say. Or even better, come along, see the gym in action, meet the coaching team, speak to fellow members. …But if this does sound like a place you’d enjoy coming to and if you’re looking to get some seriously great results, whether that be shedding a few kilo’s, improving your fitness levels or just developing healthy habits to live a happier life, then we might just be the place for you. Prev Post: My Top Tips On How To Deal With Bloat!